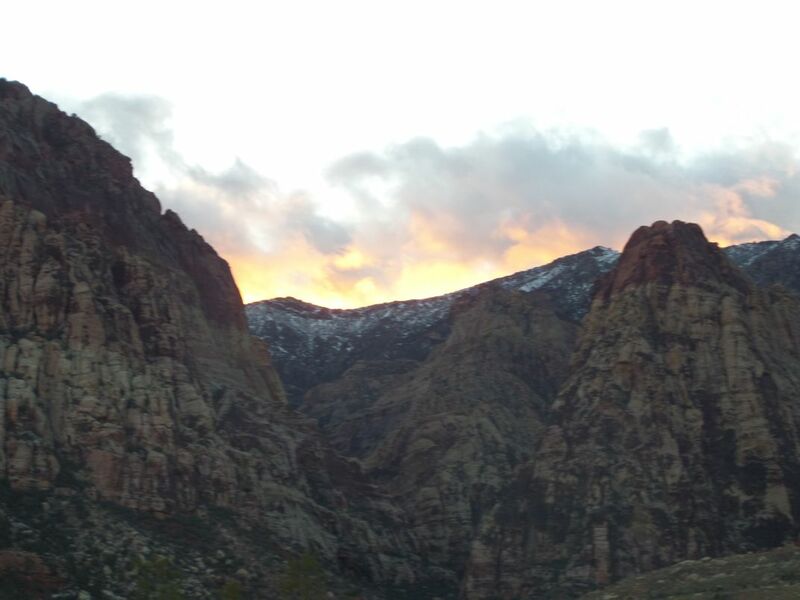 I was hoping to catch an amazing sunset while we were out at Red Rock Canyon, but I originally mistook the sun setting behind these peaks as fire. I thought this was a really cool effect. Date Uploaded: Nov. 14, 2016, 11:21 p.m.